A celebration of the life of Ric Workman is being held later this month and all proceeds will be given to his widow to help with funeral expenses. Workman, a well-known local musician, passed away July 18 at the age of 63. 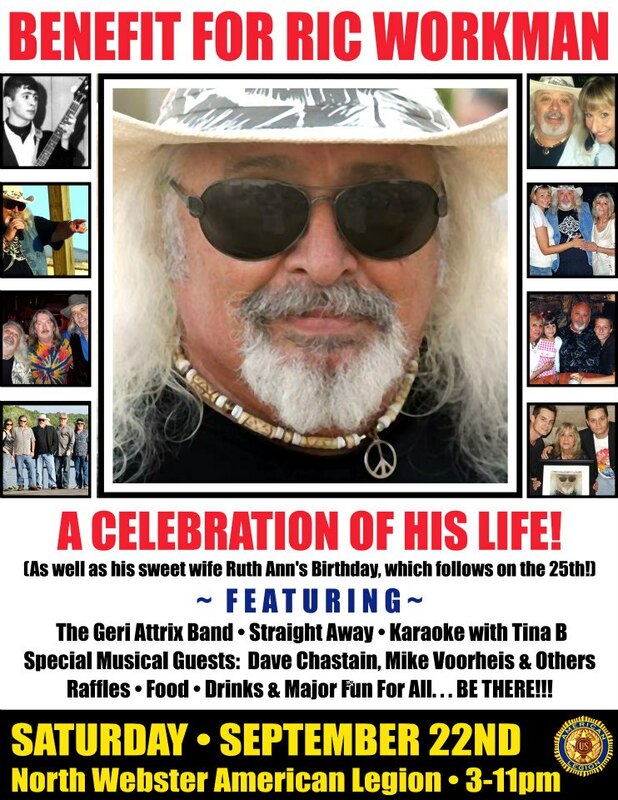 Having performed for over four decades, he was in the bands The Tiki’s, the Laketrash Band and was most recently played with the Gerri-Attrix Band. On Saturday, Sept. 22, the North Webster American Legion will host the benefit – which is also a birthday celebration for his widow, Ruth Ann Voorheis. The celebration begins at 3 p.m. and will continue until 11 p.m. Musical entertainment will be provided by the Gerri-Attrix Band, Straight Away, Dave Chastain, Mike Voorheis and more. There will also be karaoke with Tina B, raffles, and plenty of food, drinks and fun.